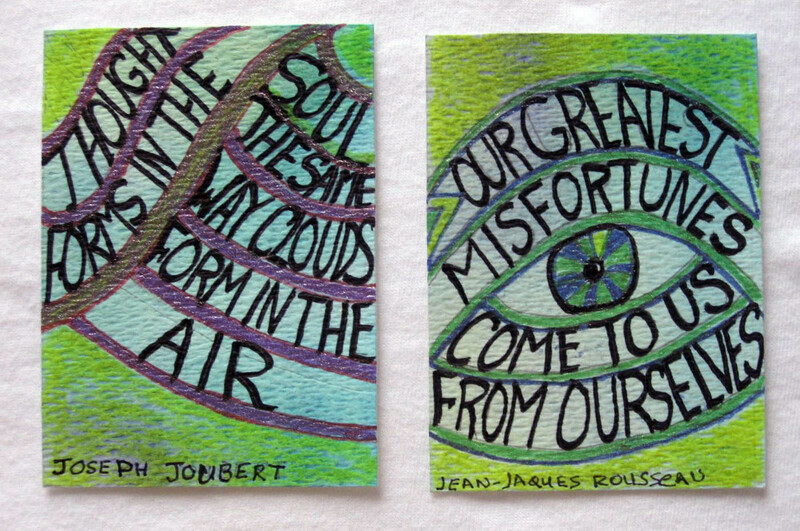 As far back as the days of Hippocrates [c. 460 - 370 BC] great thinkers, philosophers and poets alike have imparted practical and insightful views of life that stop us in our thoughts, and often bring a smile to our faces. 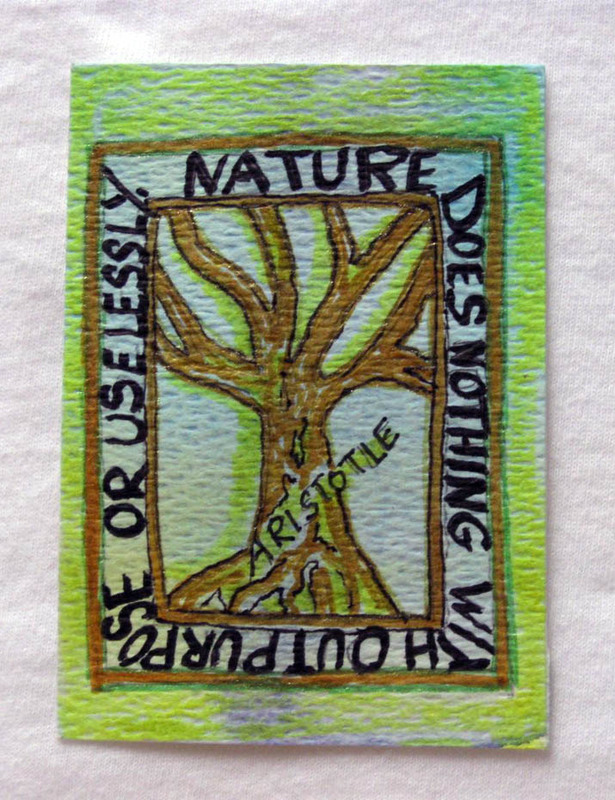 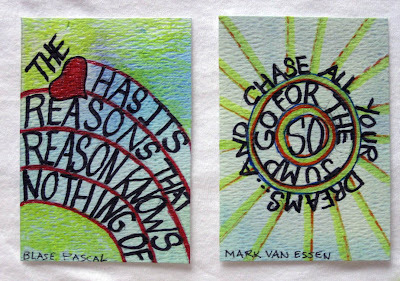 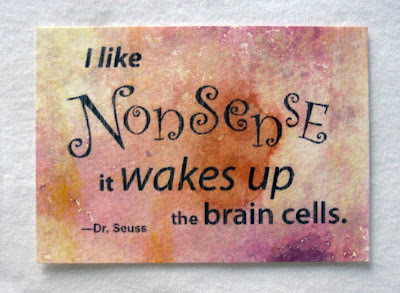 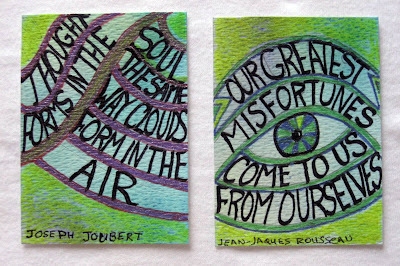 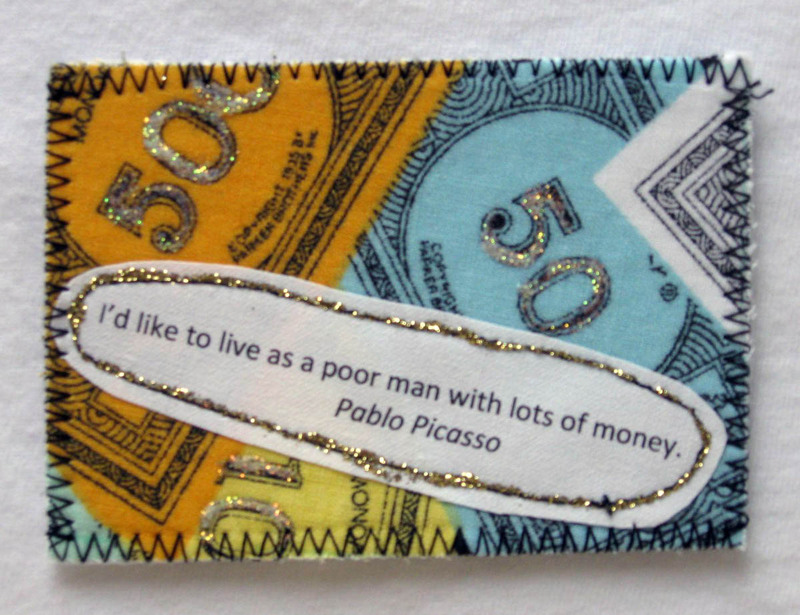 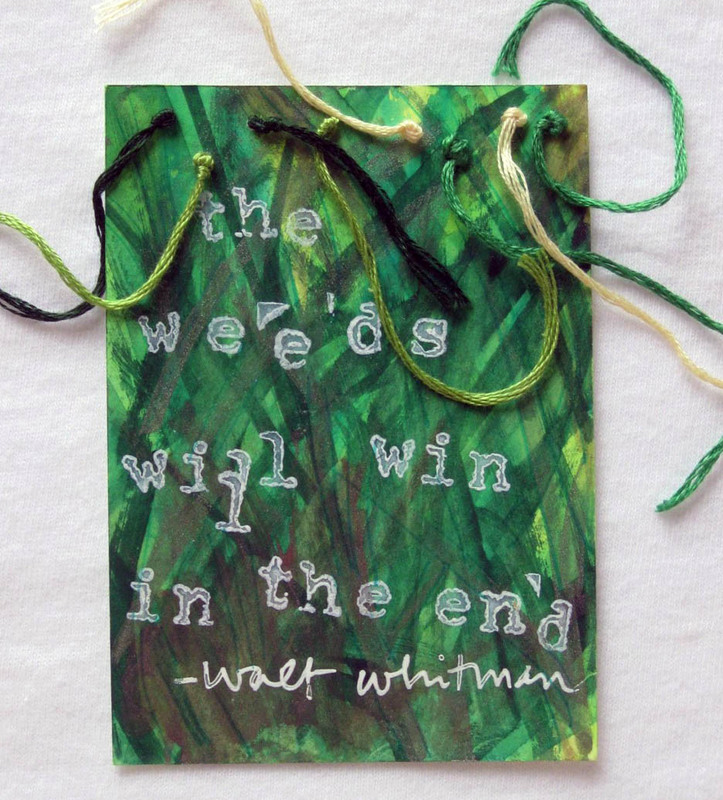 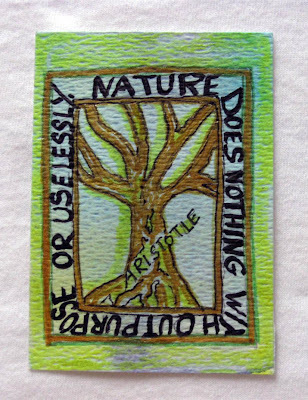 "Aphorisms," concise and memorable statements containing a subjective truth, was the theme of the August FiberAntics ATC swap. 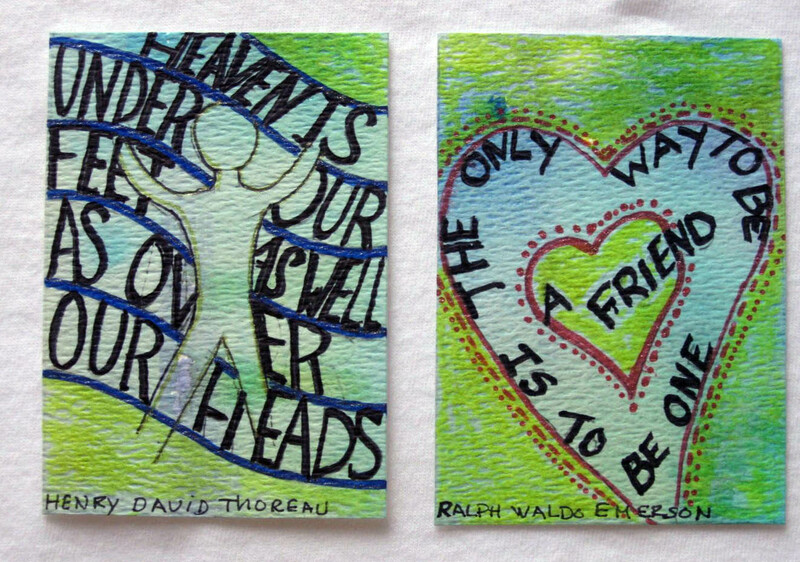 Here are the ATCs (Artist Trading Cards) for this month. I hope you enjoy the creatively and typographically illustrated bits of pithy wisdom from these ATC artists. 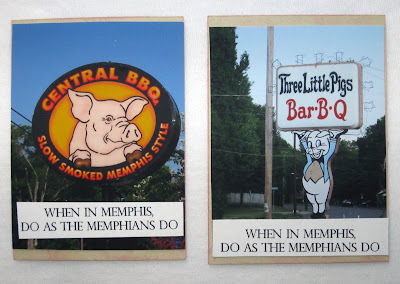 "When in Memphis, do as the Memphians do... eat BBQ." 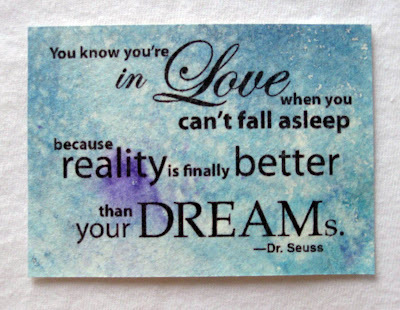 "The only real currency we have is time." 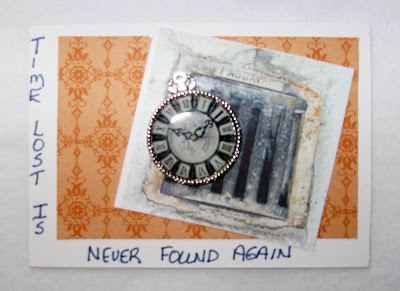 "Time lost is never found again." I've had a taste for BBQ since Friday. 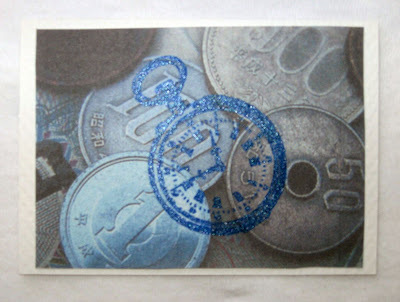 I need a pork plate soon!